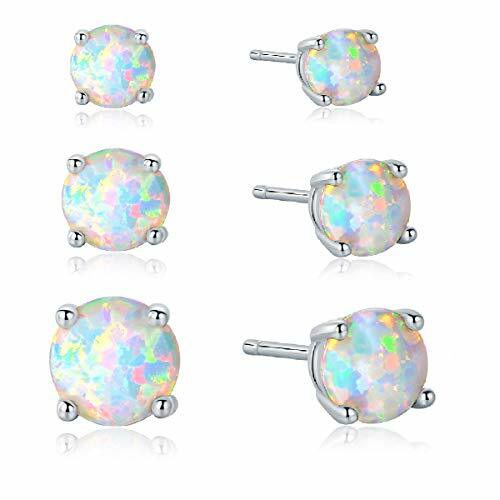 This is a package selling with 3 pair earrings in different color.Including 3mm,5mm and 7mm opal stud earrings. The stone are very shine and plate with rhodium to make it in perfect status.it will be very shine when you take it. this earring will come with a jewelry pouch which create a lovely packaged gift. Metal: 925 Sterling Silver,Plated with 18K white gold, in high polished. If you have any questions about this product by GEMSME, contact us by completing and submitting the form below. If you are looking for a specif part number, please include it with your message.